In the world of Michigan Secretary of State Driver Assessment and Appeal Division (DAAD) license restoration cases, there are numerous variables that I have to control. We’ve all heard the saying that “anything that can go wrong will go wrong.” In a Michigan license restoration appeal uncontrolled variables are precisely those things that can (and often do) go wrong. Therefore, controlling them limits the potential for problems. This is why, for example, I spend 3 hours with a new client in order to prepare him or her to undergo the substance abuse evaluation, which must be filed as part of the paperwork to formally begin a license appeal. Beyond that, both my senior assistant and I carefully review each and every substance abuse evaluation before it’s filed with the state to make sure that it is “airtight.” This is another safety check to prevent something from going wrong. One variable that cannot be controlled, however, is the assignment of a case to a particular hearing officer. What’s more, unlike many other variables, where something is either “right,” or “wrong,” the hearing officer is neither. Instead, the hearing officer is a subjective, human element. He or she has a personality that is made up of core beliefs, experiences and preferences. Each hearing officer is a different individual, and who winds up assigned to your case can make a huge difference in how things go. At its most basic, your fate rests in the hands of another human being, with all of the idiosyncrasies and inconsistencies that make him or her human in the first place. Accordingly, there is a certain, unavoidable element of unpredictability when it comes to who will decide your Michigan driver’s license restoration case. Certainly, in a license appeal hearing, there is a certain, rather objective inquiry that each and every hearing officer will make. The 2 main issues to be decided in every license appeal are, first, whether your alcohol problem is under control, and second (and really more important), whether your alcohol problem is likely to remain under control. As much as there are differences between the various hearing officers, there is also considerable overlap in terms of the information needed to decide a license restoration appeal with these two issues in mind, and the evidence that supplies it. Yet for all of that, what one hearing officer considers “proof” that your alcohol problem is “likely” to remain under control may not even come close to satisfying another. Let’s go back to the substance abuse evaluation for a moment. As I review a completed form in my office before approving it to be filed, I am keenly aware that something which would be just fine with one hearing officer (and I am thinking of a very specific example of a hearing officer known for denying cases on the basis of what he calls a “questionable/insufficient substance abuse evaluation“) would be an absolute deal-breaker with another. It is absolutely essential to know these things before your case is filed, because once that evidence has been submitted to the DAAD, there is no going back and fixing it. After a case has been filed, the DAAD in Lansing will assign it to a local hearing officer. If things have been properly handled, the evidence will be solid, and none of it will be objectionable to any of the hearing officers in the state system. Even so, each hearing officer will approach the case, and the upcoming hearing to decide it, somewhat differently. Here again, knowing your hearing officer isn’t just some kind of “advantage,” it’s absolutely necessary. In fact, one of the most important aspects of the way I do license restorations is the mandatory “prep” I do with each and every client before his or her hearing. Normally, I do this the night before the hearing, and spend about an hour reviewing the case with my client. Much of that hour is spent discussing exactly how the evidence in his or her case will be examined by the particular hearing officer deciding it. The easiest way to make this point is to talk about AA. It used to be that the DAAD seemed to never give a license back to anyone who wasn’t actively attending meetings. That has changed in the last number of years, but there are still hearing officers who retain a certain bias for the AA program. In addition, each hearing officer has a different interest in and understanding of AA. One hearing officer may far more interested in a person’s ability to recite the steps, while another will focus the inquiry on a step or steps the person can explain as being important to his or her recovery. Yet another hearing officer will only inquire as to whether a person goes to AA, while the hearing officer in the next room will specifically ask a person why he or she no longer attends. As I stated before, knowing these nuances of how your case will be decided isn’t merely some kind of advantage; knowing these things is absolutely critical to your success. As a Michigan driver’s license reinstatement lawyer, I can at least control the hearing officer variable by making sure my client is fully prepared, not just in some general way, for a “hearing,” but specifically to answer the questions put to him or her by the particular person who will be conducting it. I point out in about a thousand places all over my website and throughout the various articles of this blog that I guarantee I will win your license back if I take your case. The phrase “if I take your case” drives the marketing people crazy, because they advise that I just say, “I guarantee a win.” Yet I proudly eschew the conventions of the shameless huckster because it’s absolutely true that I will only take a case for someone who has genuinely quit drinking. This means I only represent people who tell the truth about their sobriety. Not surprisingly, the marketing people also advise that I don’t get into all this “telling the truth” stuff, because, they say, it can alienate a “potential” client, even though that wouldn’t be anyone I would want to represent in the first place. For my part, I see my requirement that a person must have really quit drinking as a nice way to differentiate myself from other lawyers. This enables me to feel good about what I do and the person I represent. Whatever else, I always end up helping a truly deserving person put his or her life back together and finally get back on the road. Thus, as I “prep” a client, we’ll be focusing on the details of his or her transformation from drinker to non-drinker. Key here is that all of these details will be true! How much better can it get than that? Mark Twain once said, “If you tell the truth, you don’t have to remember anything.” As applied to my clients, it means we won’t have to waste a single second putting together some phony, scam story. Instead, we can focus on winning the case fair and square. Accordingly, to the extent I can influence, if not control, the hearing officer variable, I do that, albeit in a decent and fair way. As I’ve pointed out twice before (meaning I obviously think the point is important), knowing how to proceed in front on any particular hearing officer should not be seen as some kind of “advantage,” but as a necessary prerequisite to forging ahead with a license appeal. Because my clients are those people who have truly gotten sober, I believe that giving him or her every edge possible to win the appeal is absolutely the right thing to do, and that includes every “heads up” about the person that will be deciding the case. 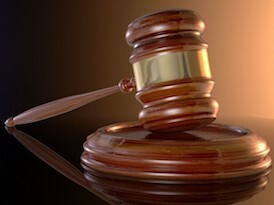 While there is no way to “pick” a particular hearing officer, there are numerous ways to make sure that your case is airtight and rock solid enough that it doesn’t matter to whom it’s assigned, and that there will be no errors or omissions that would trip a case up because of the hearing officer to which it has been assigned. In the final analysis, this should essentially mean that when you do walk in that hearing room, you will have been so thoroughly prepared for the hearing officer deciding your case, you’ll feel like you already know him or her.